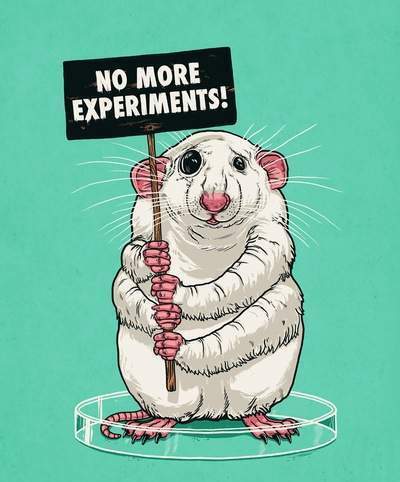 No more experiments.. . Wallpaper and background images in the Against Animal Cruelty! club tagged: animal cruelty animal rights animal abuse animal testing experiment. I don't agree with you. I think that this poster shows very well what experiments do to these poor animals. Maybe some people won't be so for animal testing if they see it. STOP THE EXPERIMENTS!!! NOW!!! PLEASE!!! This is so sad, animal experimentation is another form of animal cruelty. Did you know that over 2/3 of noble peace prizes in medicine are awarded to researchers who did not use animal experiments and this continues to increase every year). That 94% of research does not correlate to humans and even ends harming/killing humans. And so many other facts against animal experimentation . So in the name of science and medicine, save lives of both humans and animals.